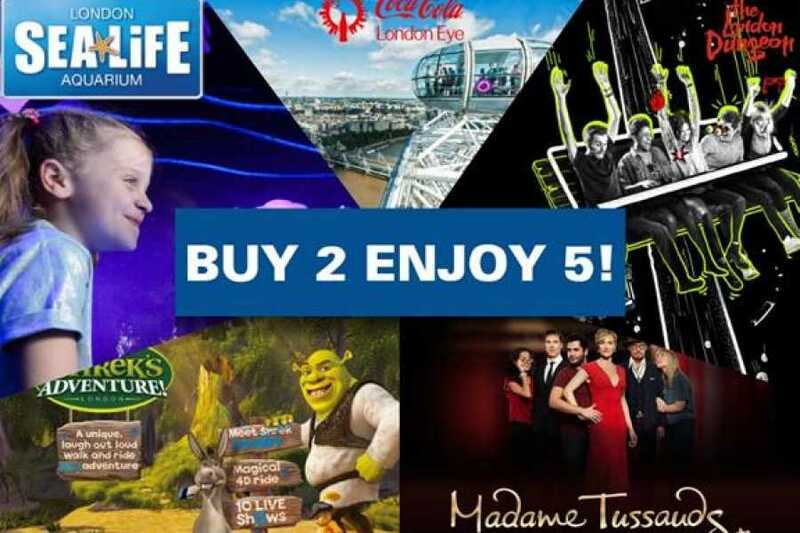 Experience the best of the capital with Merlin’s London Big Ticket – five awesome London attractions in one excellent package! 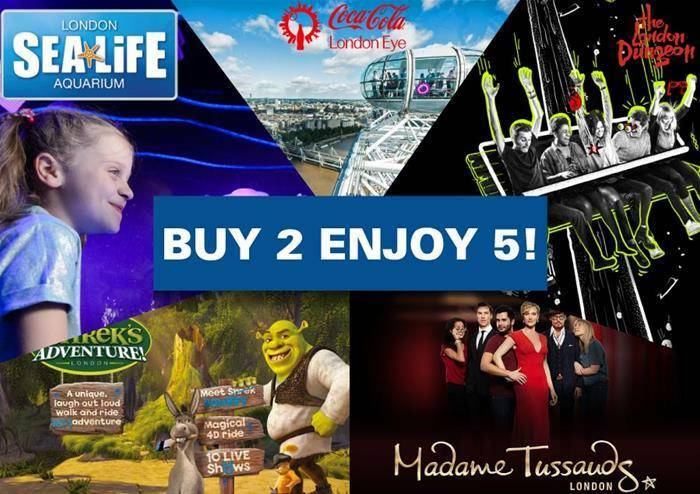 Visit the iconic London Eye, explore the wonder of London Aquarium, see the incredible wax figures at Madame Tussauds, encounter the capital’s deadly secrets and history at the London Dungeons and enjoy the chaotic hilarity of Shrek’s Adventure. Visit all five in one day, or spread the fun over a few different days – the choice is yours!